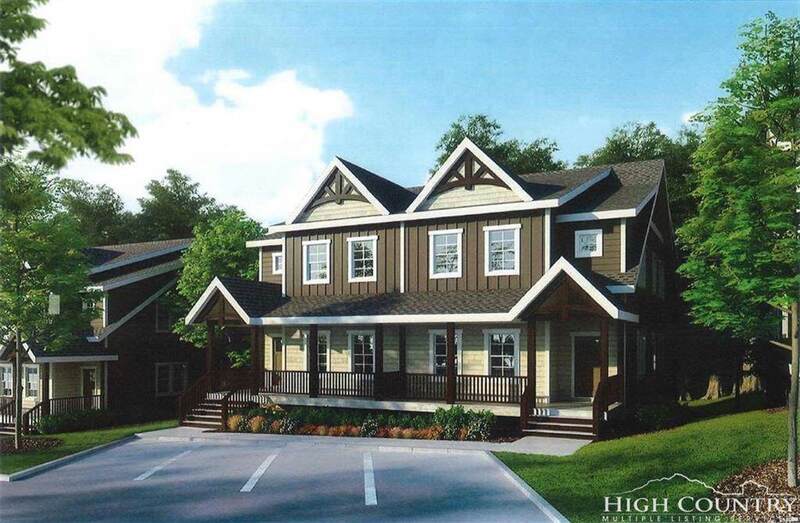 THE TOWNES located in a prestigious neighborhood of six townhouses just a short walk from Main Street, Blowing Rock. The covered entryway welcomes you to the foyer leading to the kitchen and great room. The upscale kitchen features granite countertops, stainless steel appliances and a large island with seating. The great room boasts high ceilings with wood beams and a floor-to-ceiling stone fireplace, sitting area and ample dining area. Sliding doors open to a large, partially covered deck where one can enjoy the soft mountain views and outdoor mountain breezes. Hardwood floors in the living areas, half bath and bedrooms; full baths and laundry rooms will be tiled. 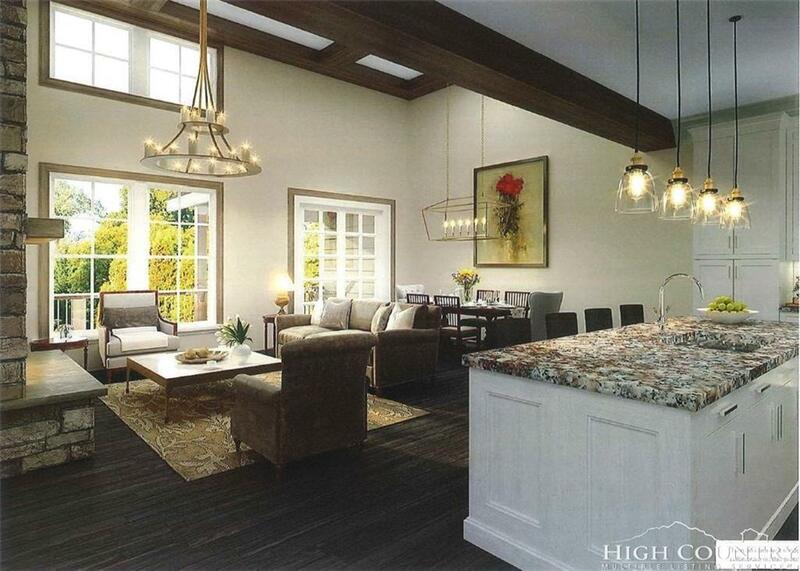 Nine foot ceilings throughout except for the great room area which has 16-foot ceilings. Board-and-batten siding, bark and stone exteriors. Timber frame elements accent the front entrance and upper-level dormers. Window and door trim will be stain-grade wood. Switchable Smartglass on Master Bedroom Windows for privacy. Year round easy access with garage or street level parking. Many design features and finish choices available. Additional space for golf cart in two car garage. ELEVATORS ARE OPTIONAL.